Very nice!!! I have the black dial model..
A very nice piece to have, as these balck dialled models are not easy to come by. This was a very interesting read. For some reason we rarely see these watches available. Hi Pat, hope you're travelling well. A fascinating read from a bygone era. i have a 2499 Seamaster which was great to see in this catalogue. Hi, just for your information, the watch case G6518 should have a calibre 351 in it, not the calibre 500. This watch has been put together from 2 different watches. I checked my suspicion on Omegas website so am definitely sure I am correct. This message is for your information only. Do you know for certain it is not a transitional model? 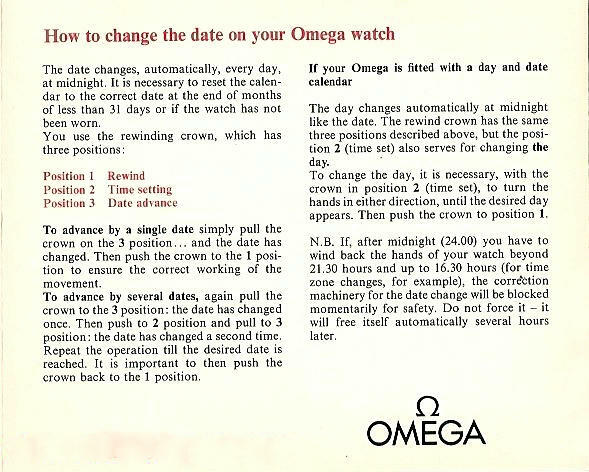 Do you have any documentation from Omega that my watch or several others being sold are not original (ie - put together) ? If so, I will take it into consideration. Omega's website is a great source of information for vintage watches, but it is not 100% complete. I've used the Omega site numerous times just to find out that they have no info on a particular reference number i had (ex - Omega Flightmaster ref 2914-6). Before I send him an apology could you take a look to confirm my suspicions please. It seems obvious from records that I am correct and based on his reply if I am correct there are an awful lot of G6518 cases omegas out there with the wrong calibre movement. Yes, I note the OVDB shows only the cal 351, but these US models are problematical. Morris was importing 17J movements and casing them in the US and they are not always by a long shot recorded in the database. Serial dates the movement to 1955, and I speculate it was cased in 56. It is entirely possible that some local US examples of the 6518 also housed the cal 500. I have checked in my files and I dont have a catalogue for 56, and so really cant say either way. A cal 500 17 jewel is not a collectible watch and is worth gold value only in my opinion, and adding to my disinterest is its US casing and ambiguity over case number. Given that there are others around, the possibility increases because there is not enough in them for the FrankenMeisters to make an industry out of putting them together. Name for my N°: 1448 / 431.6. What is Thor meaning for this numbers.